It's Clinique Free Gift with purchase at Hudson's Bay time! 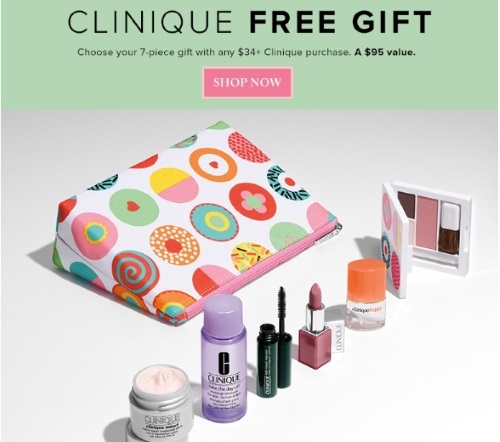 When you spend $34 or more on Clinique products you can get this 7-piece gift free ($95 value). Plus choose a bonus gift with any $75+ purchase (a $130 total value). While quantities last. Gift must be added to your shopping bag prior to checkout. Offer valid in-store and online.